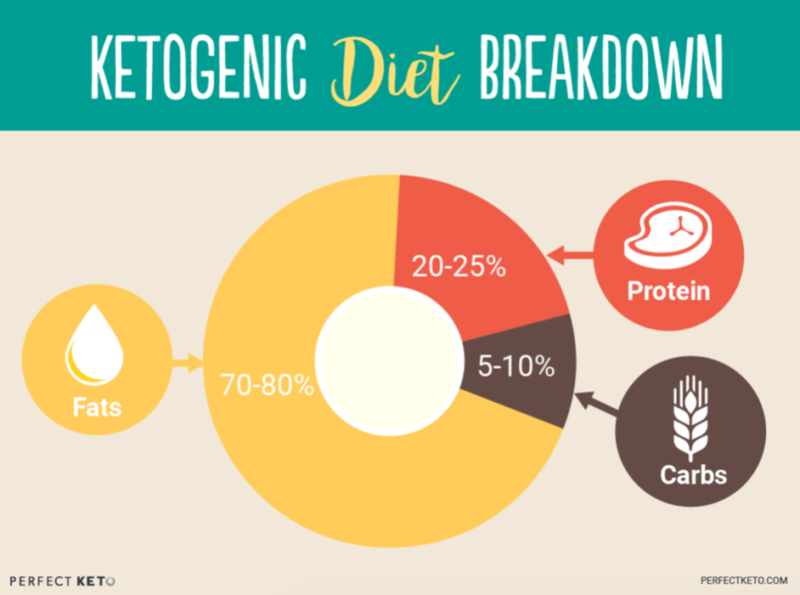 The ketogenic diet is all the rage right now, and more people are learning about the benefits of ketosis on their health and weight loss goals. However, there’s still some confusion around the process itself and the correct ways to maintain ketosis. This information will help you maintain a steady state of ketosis safely and efficiently, no matter your needs. When the body’s in ketosis, fats are broken down and ketone bodies, or “ketones,” are created for the body to use for energy. The way you use the ketogenic diet depends on your specific needs, but what’s important is making sure you maintain a state of ketosis during the full time you’re on keto. This is not the same as simple going low-carb, and it requires some extra effort and tracking. However, the results are worth the extra work! Just as it sounds, the only difference between short- and long-term ketosis is the amount of time you properly follow the ketogenic diet. The standard version of the ketogenic diet involves eating around 20-50 grams of net carbs per day to keep the body in ketosis, although the exact amount depends on each person. Check out our article about net carbs and their impact on remaining in ketosis. Long-term ketosis is maintained for a more extended period of time and often gets easier as the body becomes keto-adaptive, or more efficient at using ketones for fuel. It’s important to note that following the ketogenic diet 100% all the time might not be feasible or desirable for everyone. Sometimes you might have periods of higher carb intake, such as before exercise, that will take you out of a state of ketosis. Some people might experience too low energy or side effects like constipation or kidney stones if they’re fully in ketosis for an extended period of time. This is where shorter-term ketosis can be used to put the body into its fat-burning state long enough to reap the benefits but still fit into your lifestyle. For example, those who are very active might use a targeted ketogenic diet where they eat 25-50 grams of carbs only before a workout to fuel them through it, then continue eating ketogenic the rest of the time. Exogenous ketones—ketones you take as supplements—can also come into play here. Another popular option for those not able to do keto long-term is a cyclical ketogenic diet. Cyclical ketogenic diets are a more flexible version of the plan. They usually include eating keto for several days followed by a couple days of eating higher levels of carbohydrates. Unlike short- and long-term ketosis, the goal here isn’t to stay in ketosis all the time but to make the diet more flexible. Remember the golden ketosis formula: Low carb, adequate protein, and high fat. The exact amounts of carbs, proteins, and fats can vary per person, so you’ll have to do some experimenting to find out what works best for you. However, for a standard ketogenic diet, it typically falls around 60% fat, 35% protein, and 5% carbs. Use the keto macro calculator to find your personalized macros on keto. If you need some meal ideas, check out the Top 5 Ketogenic Breakfast meals. As outlined above, carb intake should be kept very low (and fat high) so the body utilizes its natural fat-burning capabilities. You won’t ever reach ketosis if you aren’t diligent about finding the carbohydrate count that is just right for your body. The best way to determine the exact carb count that’s right for you is by figuring out your total daily calorie intake. Again, you can use the keto macro calculator for this. What’s great about ketosis is that its not just a diet, it’s literally a measurable state of metabolism and you can always test where you stand. Now, knowing your perfect amount of protein and carbs is all fine and dandy, but the most important piece of the puzzle is whether or not your body is creating ketones. If there aren’t any ketones present, you still haven’t entered ketosis. Read our guide on testing ketones here to weigh the pros and cons of each method. Then, plan to test your ketone levels regularly as well as re-weigh yourself every couple of weeks to measure your progress, if weight loss is your goal, and also make sure your macros are still within the right amounts to be at a caloric deficit. No matter what, remember that eating fewer processed, high-glycemic carbs is a great choice for you and your health in the long run. Maintaining ketosis can take a little trial and error and extra tracking at the beginning, but you’ll ultimately reap the long-term rewards from this lifestyle shift. Test, don’t guess! Routinely check your ketone levels to assess if you are effectively maintaining ketosis. If you aren’t, simply review your day and eating habits and make some intelligent alterations and test again. Try new things. Try ketone supplementation, MCT oil powder, scaling back on carbohydrates even more, modified fasting, more sleep. There are endless amounts of resources and articles on the internet on how to increase your ketone levels. Just found this post and would like to say how true it is, it is very well put together, i had never had any problems with weight until after fighting a rare bone cancer that left me with bad mobility, the pounds went on slow and i had no idea i was getting so big, i was 16 stone 10lbs before starting this diet and after a couple of month im down to 14 stone 9lbs, if you follow the advise on this post Keto will work for you, thanks for taking the time to post this because i had no idea were to start with this diet but you taking the time to post this should be a huge help to people like myself. I am so grateful for all the useful information here. Thank you Mr Cunningham! I need to loose 30 pounds to be in normal BMI range. I have never gone on a special diet before. Today is my third day on keto diet. I am vegetarian and am finding it challenging! Amazing content – really aiming to help and clarify what ketosis is. Thank you so much! What if ketone levels are really high? What can I do to lower them into the 1-3 range? Very informative post, thank you for sharing. Much appreciayed! Thanks for sharing this article. I am leaning towards a Keto-Mediteranean diet to lose weight. I’ve started this new diet on May 7 and tomorrow is my one month. I’m enjoying it and taking my doctors advice to eat more food daily. Keto should always be above 1.51 which is something I’ve learned this past week.